Vice-President Jorge Arreaza said there had been a surge in energy demand due to extremely hot weather. He said state employees would now work from 07:30-13:00 to save on air conditioning. On Monday, local media reported blackouts across the country. 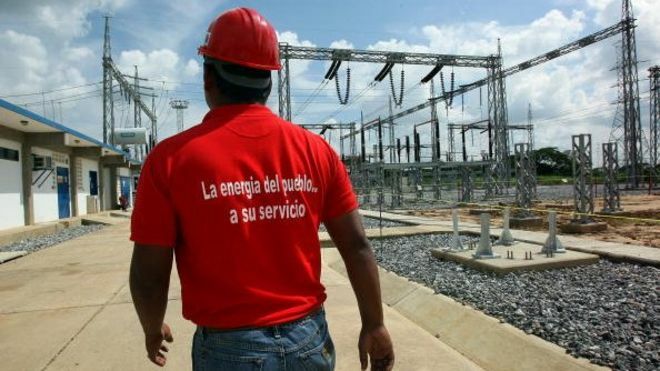 Mr Arreaza said private companies would be asked to use their own generators to reduce pressure on the national grid. But he said it was private homeowners who consumed the most energy, and he called for everyone to turn the dial down on their air conditioners. One wonders whether it is possible to appeal to the government’s conscience to have it change its policies and its governing philosophy–or to simply give up power in favor of those who are more competent and who can implement different policies and a different governing philosophy.